How To Find The Correct Bag Or Purse Size We know that purchasing accessories on the internet can lead to size mismatches,but not at Blue Banana. Capacity: 18L. Colour: Pink. Blue Banana is proud to present this fantastic addition to our collection. Colour: Silver Holographic. How To Find The Correct Bag Or Purse Size We know that purchasing accessories on the internet can lead to size mismatches,but not at Blue Banana. Capacity: 18L. Fabric Composition: Polyester. How To Find The Correct Bag Or Purse Size We know that purchasing accessories on the internet can lead to size mismatches,but not at Blue Banana. Fancy Dress. Capacity: 18L. Fabric Composition: Polyester. Capacity: 18L. Colour: Pink. Blue Banana is proud to present this fantastic addition to our collection. Fabric Composition: 60% PVC / 40% Polyester. Fancy Dress. Fabric Composition: 60% PVC / 40% Polyester. Fancy Dress. Capacity: 18L. Blue Banana is proud to present this fantastic addition to our collection. Colour: Black. Band T Shirts. 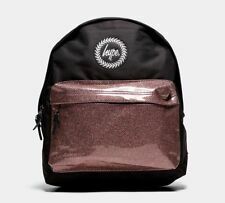 Hype bag (Glitter) Silver - FR. Statutory Rights. > Details of the fault. - Short Sleeve. Size: One Size. Colour: Silver. Exact Material: 100% Polyester. Material: Polyester.